Franta – New Martin Macik´s truck is now in in the world and it is going to Spain with all its secret gadgets and perks. 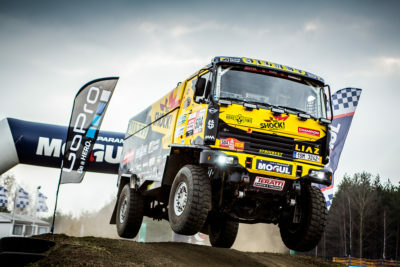 Mechanics from KM racing team just finished working on a new truck Liaz which will be used for competing during this season by Martin Macík Jr., Frantisek Tomasek and Michal Mrkva. Franta has same major enhancements in comparison to the old truck. Impulse for these changes came from the experiences from previous Rallye Dakar. Some enhancements are surprising including a non-traditional dark design, which will be completed right before Rallye Dakar 2017. New Liaz truck will leave its workshop in Sedlcany this week. It will drive the crew to Spain, Baja Aragon where Martin Macik will be defending his last year´s bronze title. Team also enhanced the design of a new vehicle, which was prepared by the professionals from Rallye Design. 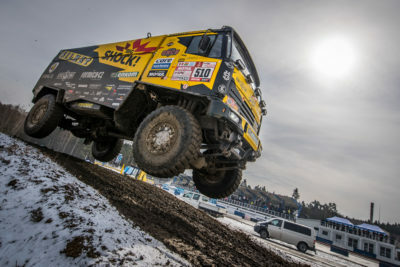 „The truck has a very dark outlook now and will get some colour before Dakar. How? We want to leave that as a surprise. We like to experiment with the outlook of the vehicle and we believe that it will be enjoyed by our fans too. We are definitely not afraid of being overlooked during the race,“ says the team leader Martin Macik about the new outlook. 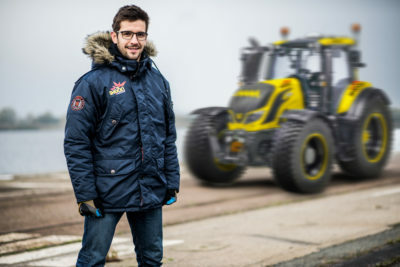 Preparation of the new truck will be finished in July because than Franta will be tested for the first time at Spanish Baja Aragon. “We haven´t raced in a long time and we miss it so much. We are extremely looking forward to the Spanish race with our new car! We will also stop in France for a swim!” says Martin. At last year Baja Aragon the crew finished in a third place even despite the technical difficulties with brakes and thieves who stole some of the equipment. This year Martin Macik is going to defend the last year success with a new truck and new experiences. Unfortunately, in Spain the team will be missing motorcyclist Lukas Kvapil, who is currently recovering after a recent car accident. 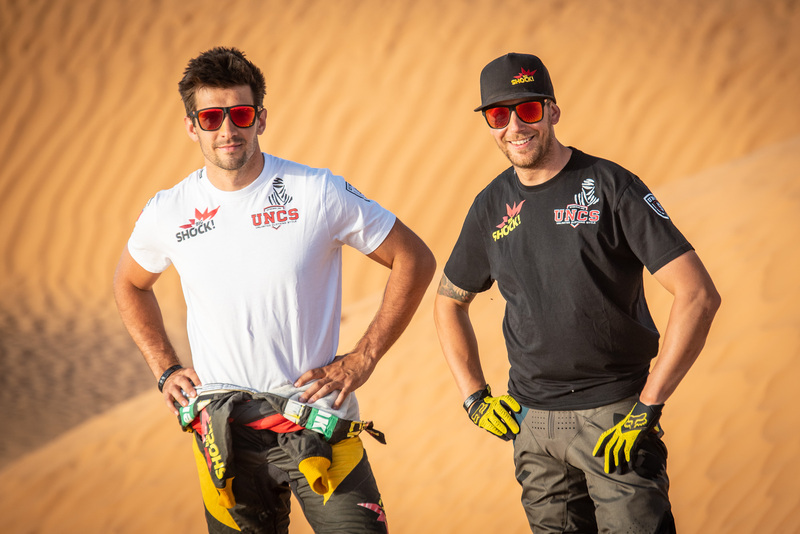 After a start in Baja Aragon there will be another stop for Martin and his crew in HunGarian Baja, Baja Poland and also testing at the Moroccan desert which are fans more than welcome to attend.